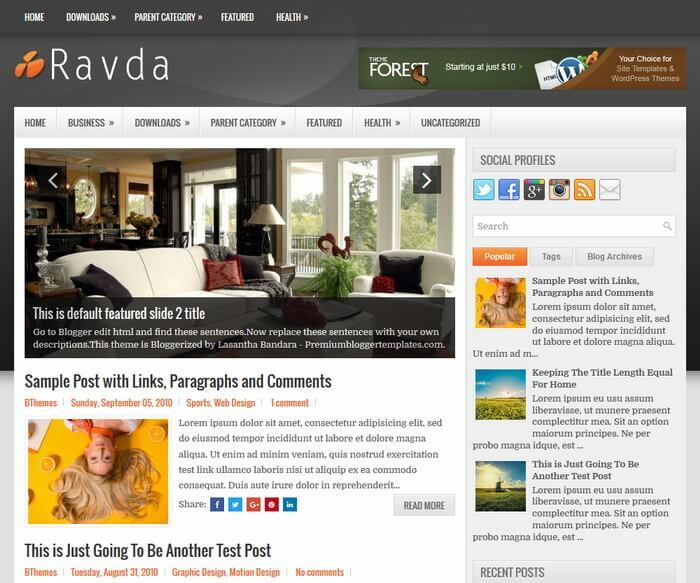 Ravda is a Clean and Responsive, 2 Columns, Free Blogger Template for General/Blog Websites. 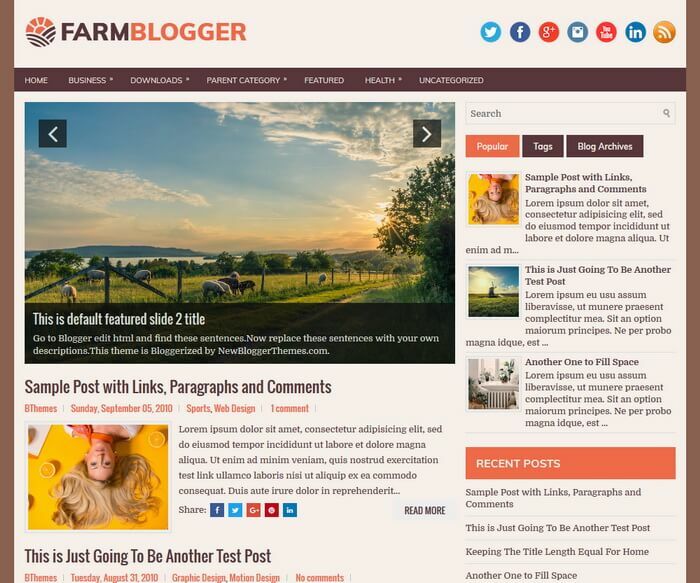 Ravda Blogger Template has a Mobile Friendly Slider, 2 Dropdown Menus, Header Banner Widget, Related Posts with Thumbnails, Breadcrumb, Social and Share Buttons, Right Sidebar, 4 Columns Footer, Tabbed Widget and More Features. 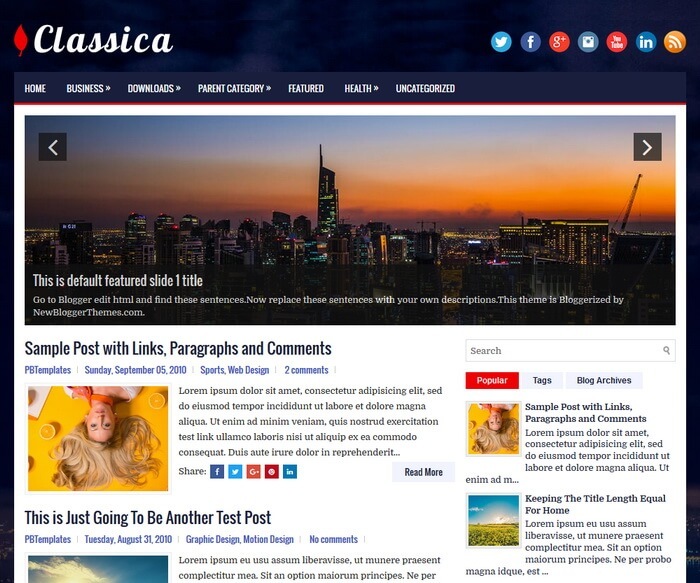 Avia is a Clean and Responsive, 2 Columns Blogger Template. 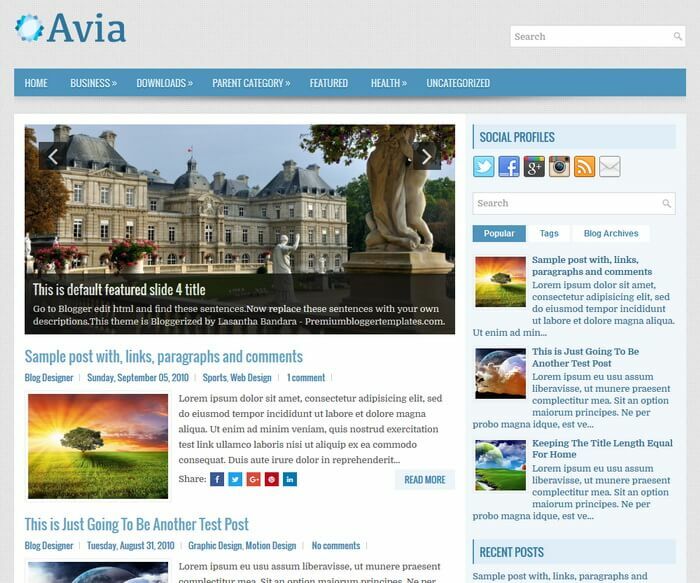 Avia Blogger Template has a Slider, Dropdown Menu, Header Search Box, Related Posts, Breadcrumb, Social and Share Buttons, Right Sidebar, 3 Columns Footer, Tabbed Widget and More Features. 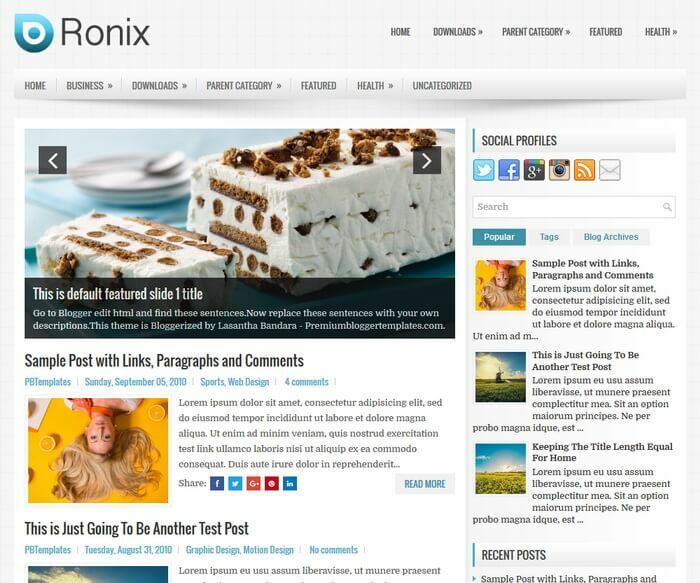 Mixup is an attractive, fully responsive, 2 columns, free blogger theme with a right sidebar and 3 columns footer. 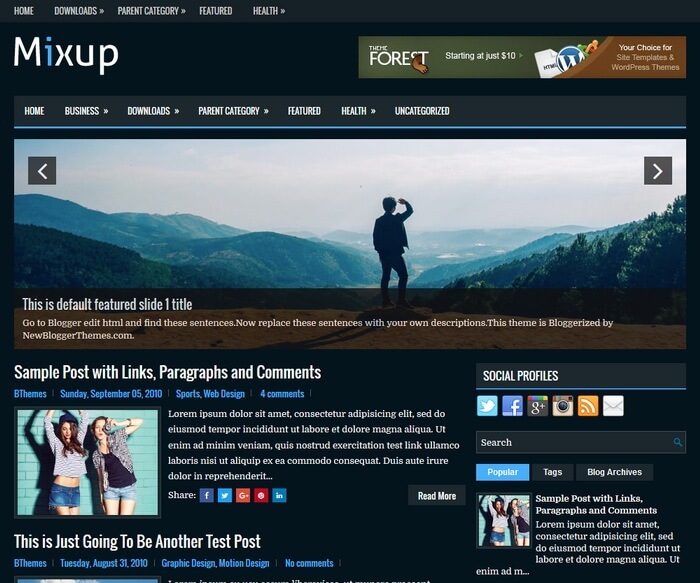 Mixup Blogger template has a mobile friendly slider, 2 navigation menus, auto post summaries, social and post share buttons, header widget, related posts with thumbnails and more. 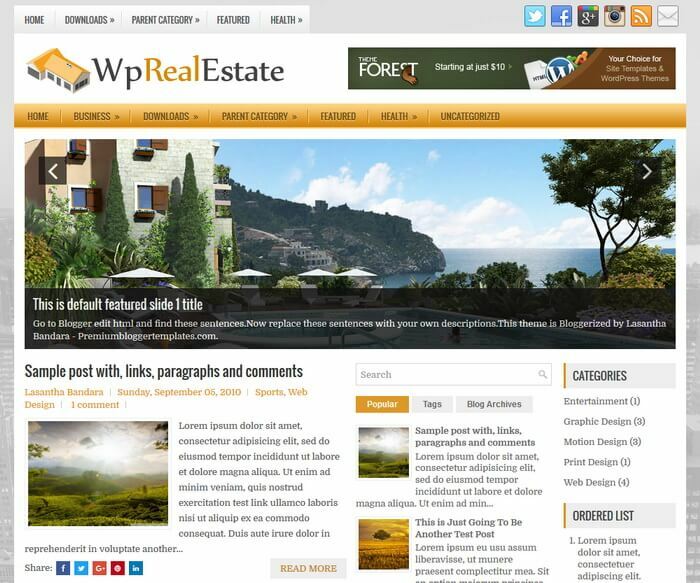 Together is a Clean, Responsive, 2 Columns Blogger Template a Right Sidebar and 3 Columns Footer. Together Blogger Template has a Mobile Friendly Slider, 2 Dropdown Menus, 468x60 Header Banner, Related Posts, Breadcrumb, Social and Share Buttons, Google Fonts, Tabbed Widget and More Features. 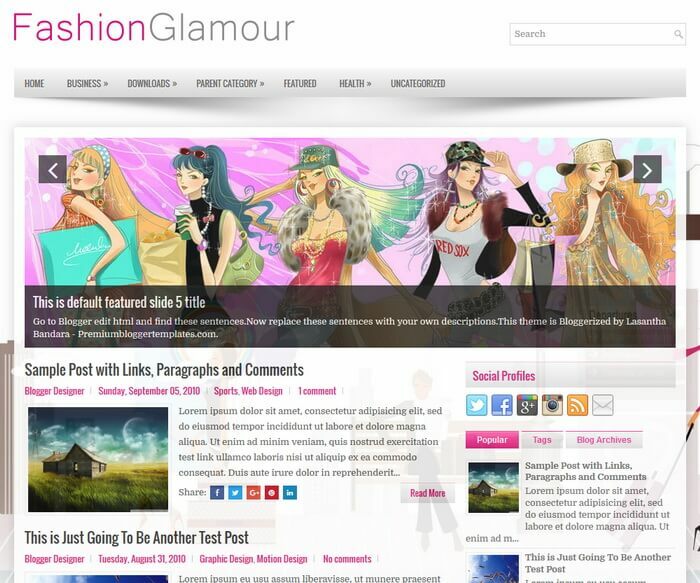 FashionGlamour is a Responsive, 2 Columns Blogger Template for Fashion Blogs. FashionGlamour Blogger Template has a Beautiful Slider, Dropdown Menu, Header Search Box, Related Posts, Breadcrumb, Social and Share Buttons, Right Sidebar, 3 Columns Footer, Tabbed Widget and More Features. 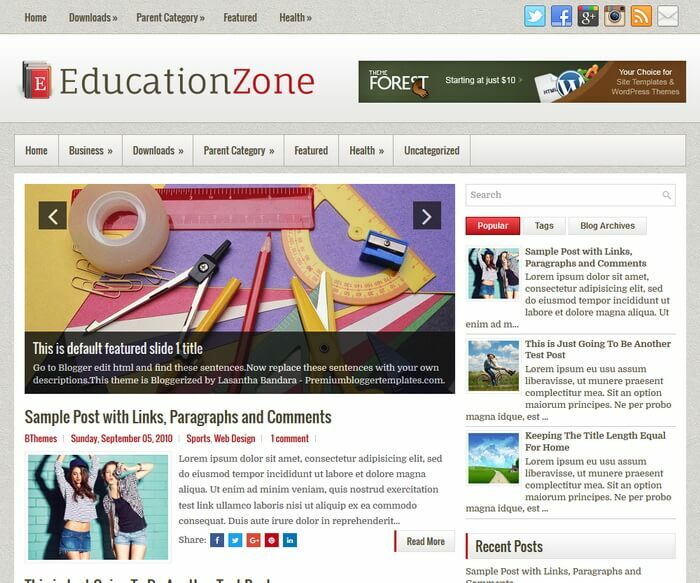 EducationZone is a Responsive, 2 Columns Blogger Template for Education Websites/Blogs. 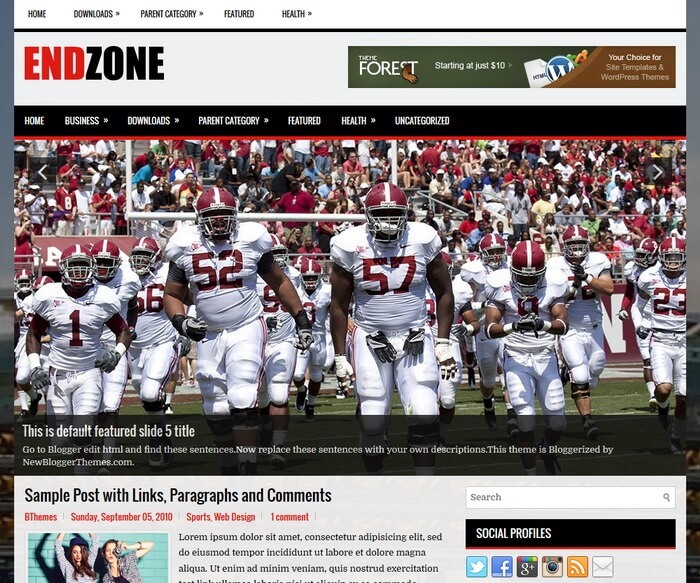 EducationZone Blogger Template has a Mobile Friendly Slider, 2 Dropdown Menus, Header Banner Widget, Related Posts, Breadcrumb, Social and Share Buttons, Right Sidebar, 3 Columns Footer, Tabbed Widget and More Features. 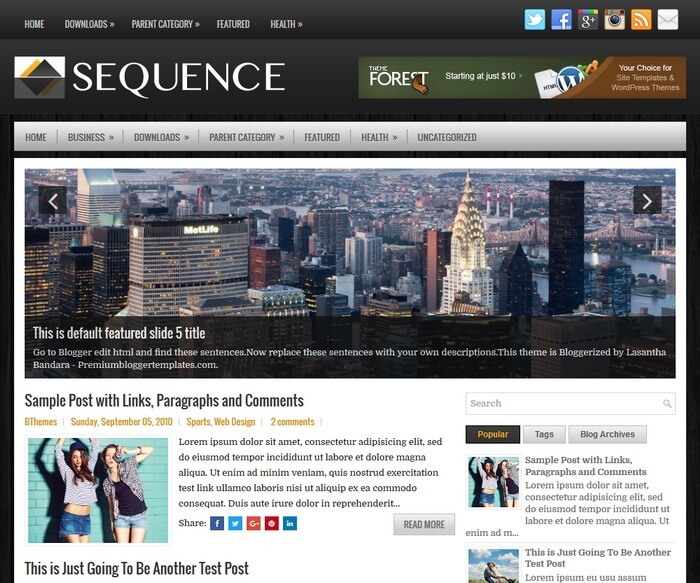 Sequence is a Clean, Responsive, 2 Columns Blogger Template for General/Blog Websites. 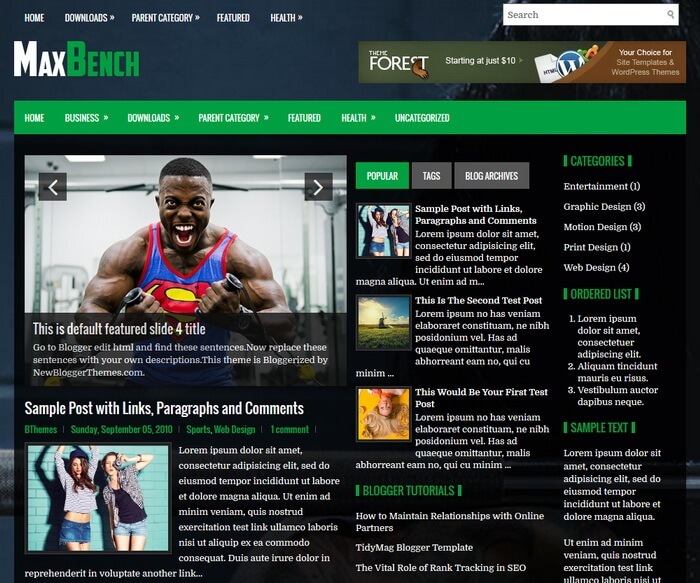 Sequence Blogger Template has Auto Post Summaries, Slider, 2 Navigation Menus, 468x60 Header Banner, Related Posts, Breadcrumb, Social and Share Buttons, Right Sidebar, 3 Columns Footer, Tabbed Widget, Google Fonts and More Features. 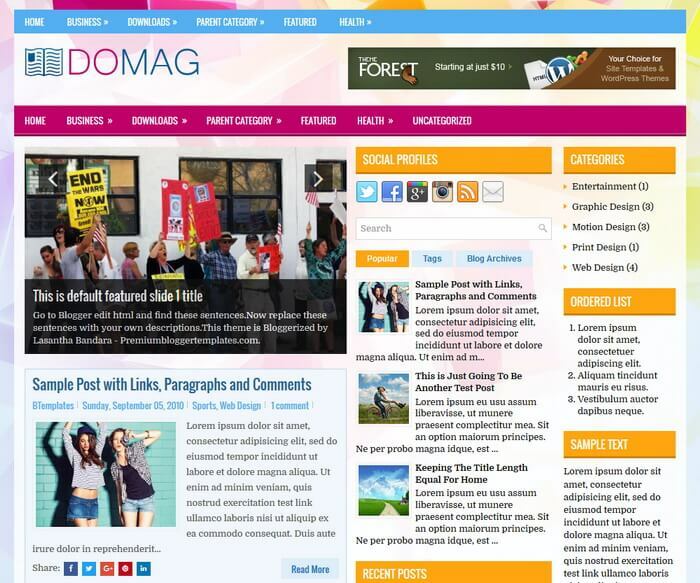 DoMag is a free blogger template with features such as 2 Sidebars, 3 Columns, 3 Columns Footer, Adapted from WordPress, Breadcrumb, Elegant, Featured Section, Responsive, Header Banner, HTML5, Magazine, Mobile Friendly, Premium, Related Posts with Thumbnails, 2 Right Sidebars, Slider, Share Buttons, Social Buttons, Tabbed widget, Top Navigation Menu, White, Yellow. 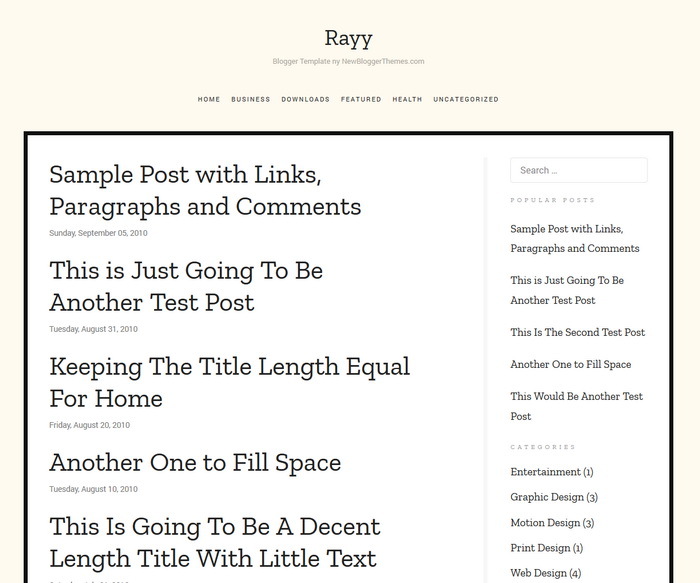 Rayy is a minimal, 100% responsive, 2 columns blogger theme for writers or personal blogs. 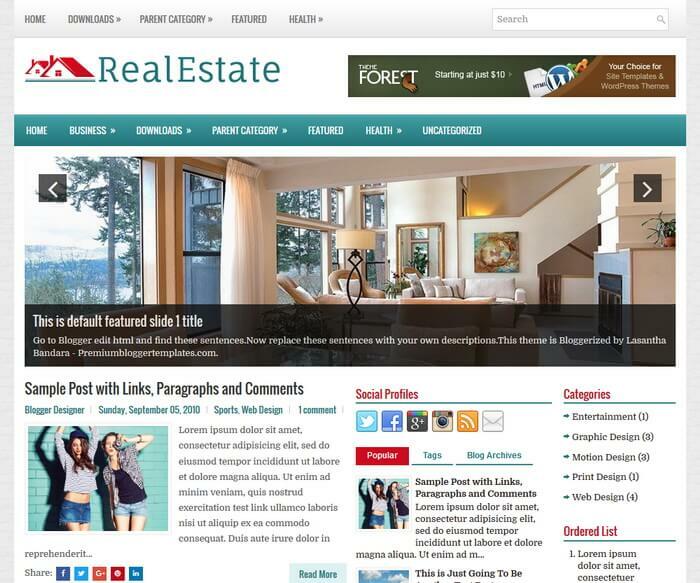 Rayy Blogger Template has a fast loading time, navigation menu, right sidebar, web fonts and more. 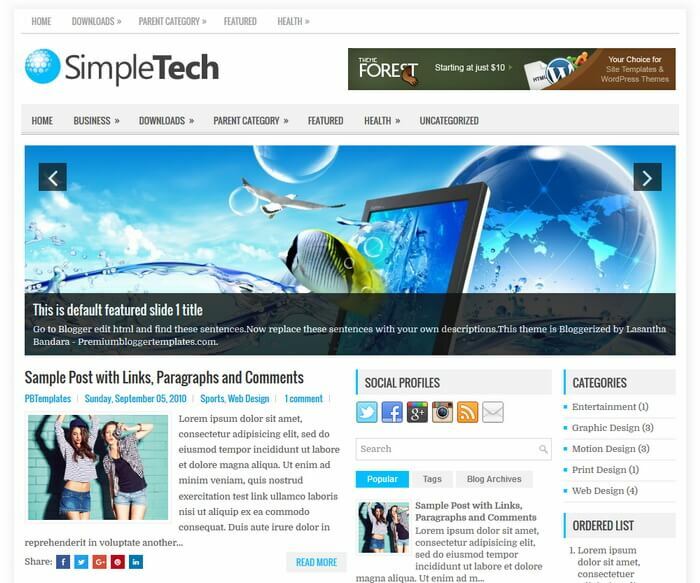 SimpleTech is a Responsive, 3 Columns Blogger Template for Tech Blogs. 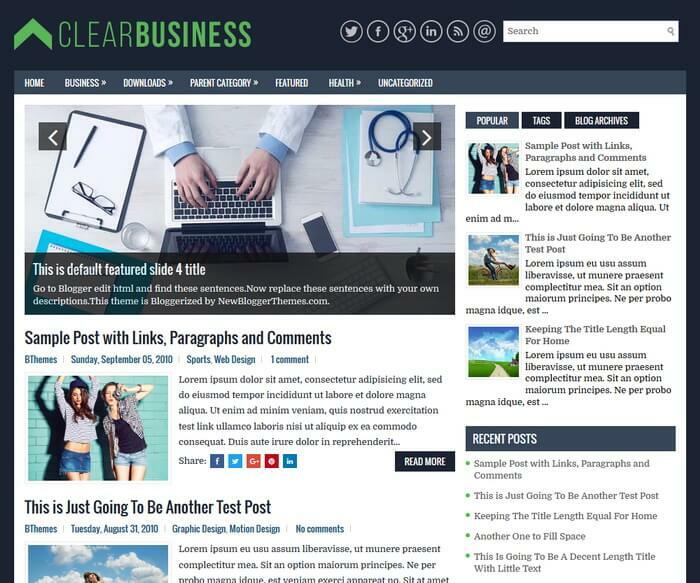 SimpleTech Blogger Template has a Mobile Friendly Slider, 2 Dropdown Menus, 468x60 Header Banner, Related Posts, Breadcrumb, Social and Share Buttons, 2 Right Sidebars, 3 Columns Footer, Tabbed Widget and More Features. 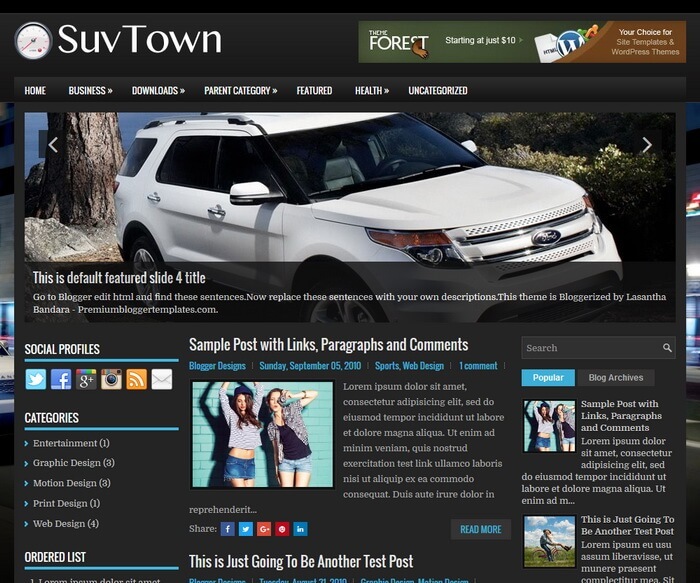 TravelTour is a Responsive, 2 Columns Blogger Template for Travel Websites/Blogs. 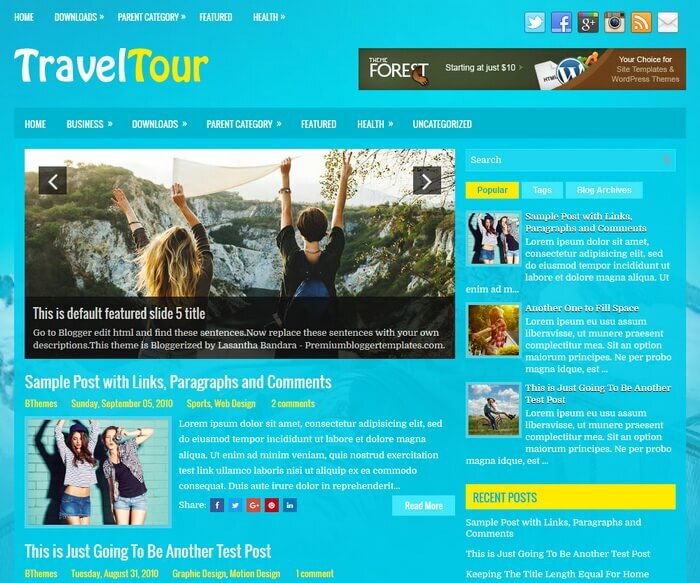 TravelTour Blogger Template has a Mobile Friendly Slider, 2 Dropdown Menus, 468x60 Header Banner, Related Posts, Breadcrumb, Social and Share Buttons, Right Sidebar, 3 Columns Footer, Tabbed Widget and More Features.